Gracias por su interés en el workshop. Lamentamos comunicarle que las plazas están agotadas. To fill ONLY if an invoice is requested. The corresponding invoice will be sent by e-mail. * Student registration. Certification of student status IS required for online registration. If you are a STUDENT, please enclose a copy of a VALID student ID or an equivalent document (only PDF file) here. 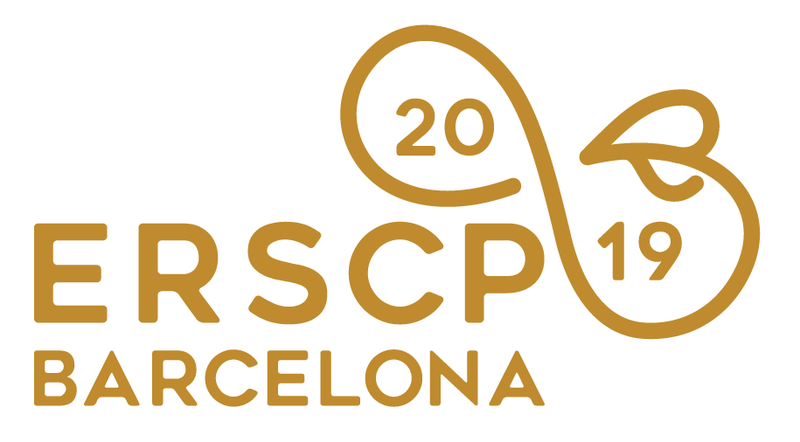 The 19th ERSCP encourages event sustainability among its participants and takes action to organise a sustainable event. ERSCP 19 is committed to compensating its carbon footprint from energy, food and waste management, with the aim of minimising its environmental impact. You can contribute to the event's sustainability through an initiative to compensate carbon emissions. If your institution does not have carbon compensation mechanisms for air travel, you may voluntarily add the carbon compensation tariff for your plane travel according to the distance travelled, as indicated below. During the conference, all participants will have the chance to propose and agree on how these funds should be used. Early fees are only applicable if the registration form and payment are received before May 31, 2019, 23:59 CEST. Otherwise, it will not be processed and the regular registration rates will be applied. Please note that cards accepted are VISA & MASTERCARD. I give to ERSCP 2019 organizers the permission to take photographs and / or video of me during the conference and all related events. Users are hereby informed that their personal data which may be provided on the webpage will be treated in an automated manner by Universitat Politècnica de Catalunya (UPC) and then go on to be added to the files processed by SIAM, as the party responsible for these files. These personal data is collected to carry out a proper management of your registration for the ERSCP 2019 Conference, and for the own purposes of client management and to provide any information which these may request.